Our U.S. Coal Production Report captures and enhances the latest MSHA production data. 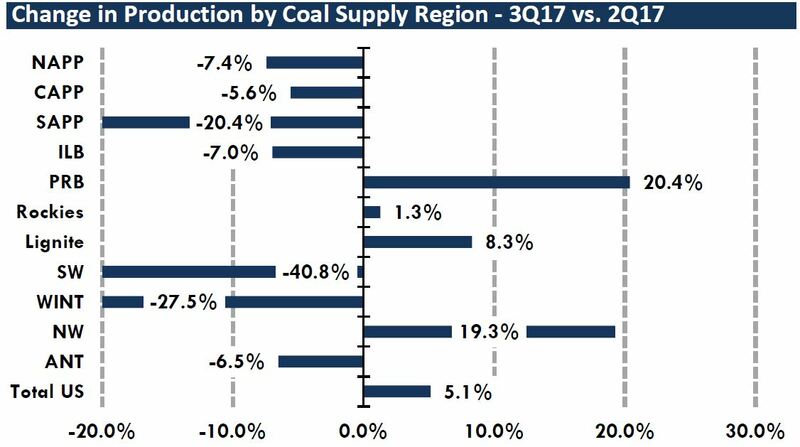 We compile, scrub, and correct the most recent quarterly coal production data to give insight into the production of coal by coal supply region, mine type, coal quality, and company. We provide market highlights, company highlights, graphics, and the supporting data. If you want to see how much Central Appalachian steam coal was produced or if you want to see if a coal company is on track to meet their annual numbers, this report has all the information you need.